Check out the brand new video from Ed for his soundtrack song for the new film. Ed Sheeran has unveiled his official music video for new song 'All Of The Stars', taken from the soundtrack of upcoming movie 'The Fault In Our Stars'. The 'Lego House' star, whose new album 'X' drops next month, recorded the song as part of the soundtrack for the romantic-comedy adaptation, which stars Shailene Woodley and Laura Dern. 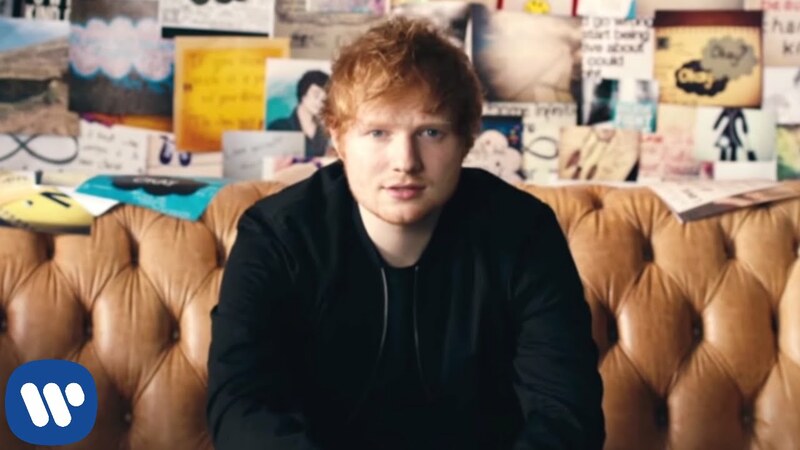 The music video mainly features imagery of notes featuring messages of inspiration and positive thinking, with Ed himself only appearing towards the end of the promo. > 9 Collaborations We Want To See From Ed Sheeran. New Hollywood movie The Fault In Our Stars drops in cinemas on 19th June. Last week Ed Sheeran joined the line-up for the Capital Summertime Ball 2014 on Saturday 21st June at Wembley Stadium, and the UK star has already teased what fans can expect from his performance.